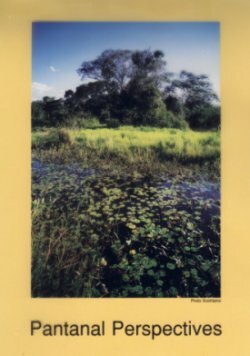 This collection of papers and presentations on the Pantanal represents some of the best and most comprehensive material on this immense and biologically rich system. 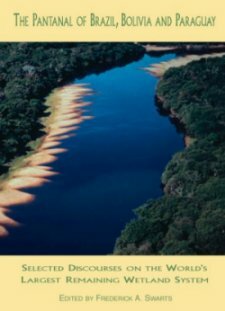 Many of the world's foremost authorities -- from Brazil, Bolivia, Paraguay, and other nations, and from key international and intergovernmental organizations -- share their knowledge of the Pantanal, and their insights on the socioeconomic challenges confronting this unique treasure. The version available here is the conference edition. 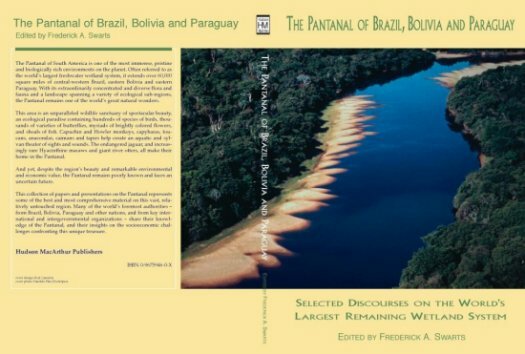 The fully edited, second edition of this book, titled The Pantanal: Understanding and Preserving the World's Largest Wetland, is available from Paragon House Publishers (www.paragonhouse.com). For a review of the book, click here. 13. Cattle Grazing and Sustainable Plant Diversity in the Pantanal: What do We Know? What do We Need to Know? 14. 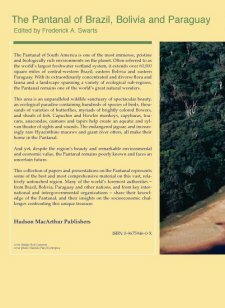 The Paraguay-Parana Hidrovia: Large-scale Channelization or a "Tyranny of Small Decisions"?